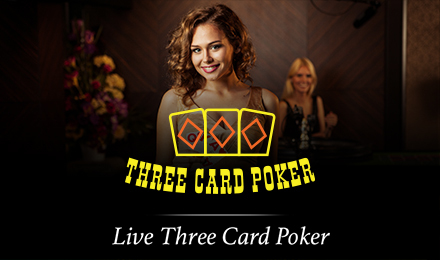 Live Three Card Poker | Live online casino | Play now! Come dressed to impress, then take your seat and win big when you play Live Three Card Poker! It’s interactive, quick and exhilarating! Good luck! If you like poker, you’re guaranteed to love this quick and exciting Live Three Card Poker game! It’s a fast-paced game with loads of generous wins! Each hand consists of 3 cards, and an unlimited number of players play against the dealer instead of each other. You’ll also enjoy an RTP up to 96.63%, in addition to a Pair Plus Bonus and 6 Card Bonus, granting you extra chances to win!